Minimalist poster for Oscar winning adaptation of Scott F. Fitzgerald’s novel. 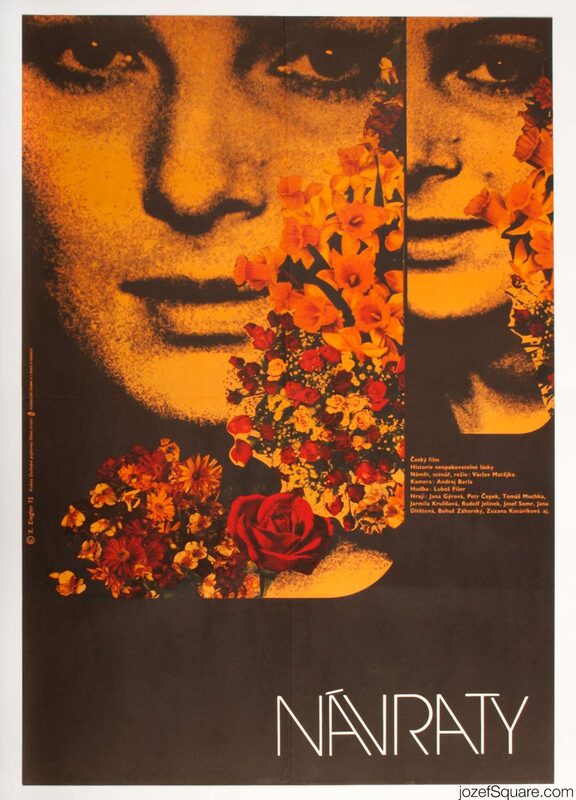 Movie poster was designed by award winning Czech poster artist Zdeněk Ziegler. 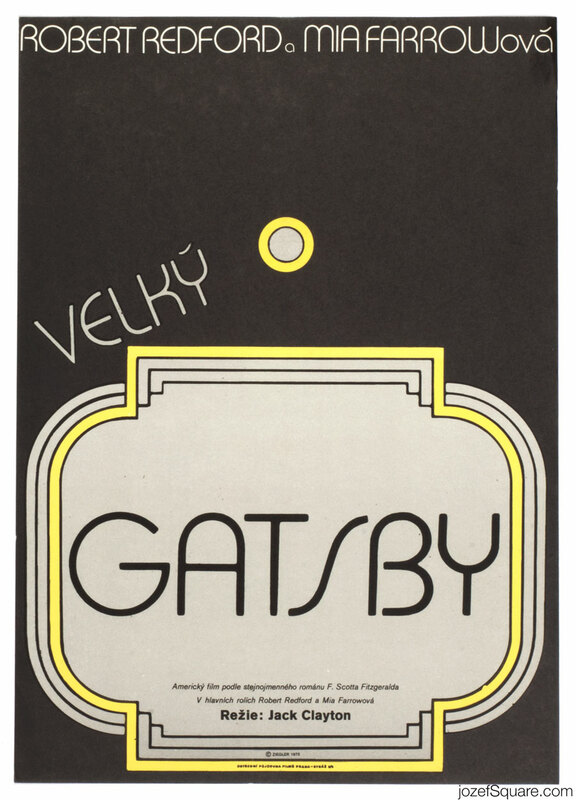 The Great Gatsby poster by award winning poster artist. Poster is folded softly across the middle. Slight crease on edges and gentle folds in some corners. Several tiny cracks on bottom edge and few more on the sides. 0.5 cm crack on the left edge. 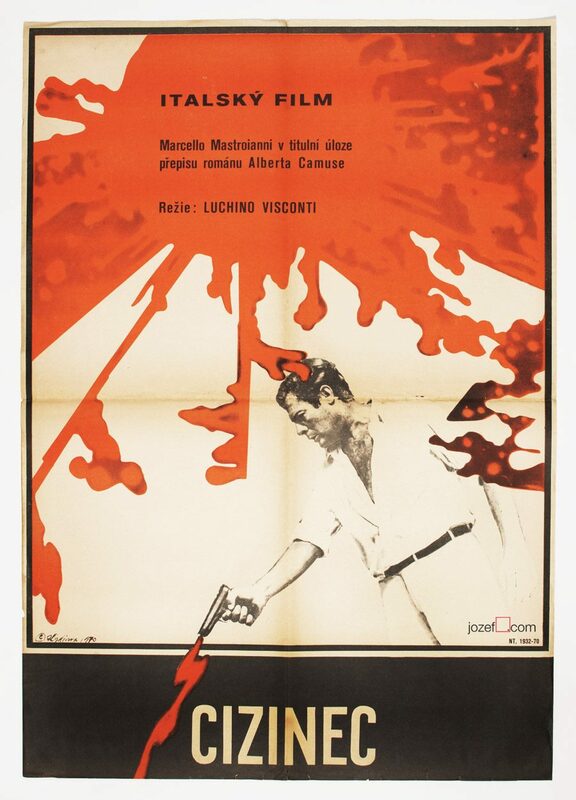 Movie poster is in A3 format (41.1 x 29 cm). Very nice condition (NOT PHOTOGRAPHED, PLEASE ASK IF YOU WISH TO SEE A PHOTO). Zdeněk Ziegler is a legendary Czech graphic designer, typographer and book illustrator. He studied Architecture at Technical University in Prague and designed movie posters since 1963. Zdeněk Ziegler took part in many prestigious international poster exhibitions and his work was also presented in several solo exhibitions. He is a member of Alliance Graphique Internationale and the Association of Czech Graphic Designers Typo &. During his career Zdeněk Ziegler won several movie poster awards. His poster for Electra Glide in Blue got him Golden Hugo at the IFF Chicago. movie posters designed by Zdeněk Ziegler. minimalist posters available in our online archive. 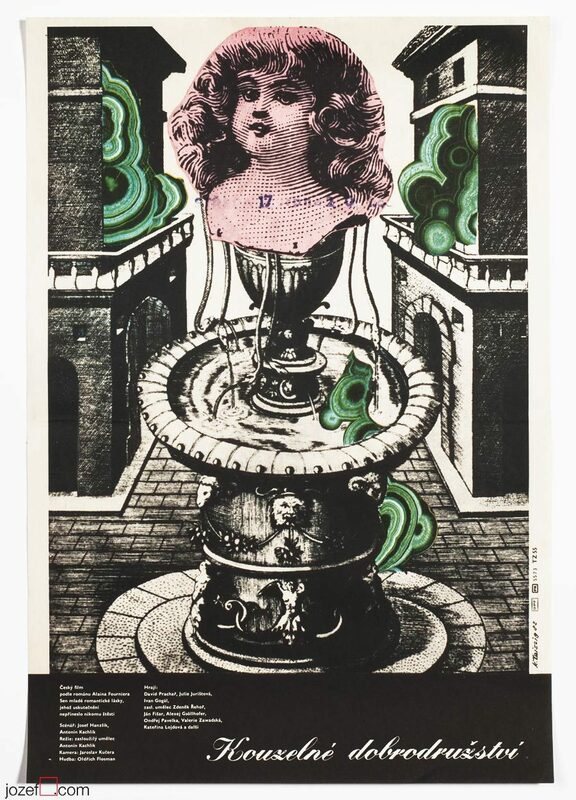 Be the first to review “Movie Poster – The Great Gatsby, Zdeněk Ziegler, 1975” Click here to cancel reply.